I love a good blogger collab. So, Blue Lilly Pad and Me (Cupcakes) teamed up to make a delish and healthy cake made from…drum roll please…watermelon! We started off with a real life watermelon. OOOHHH AHHHH! 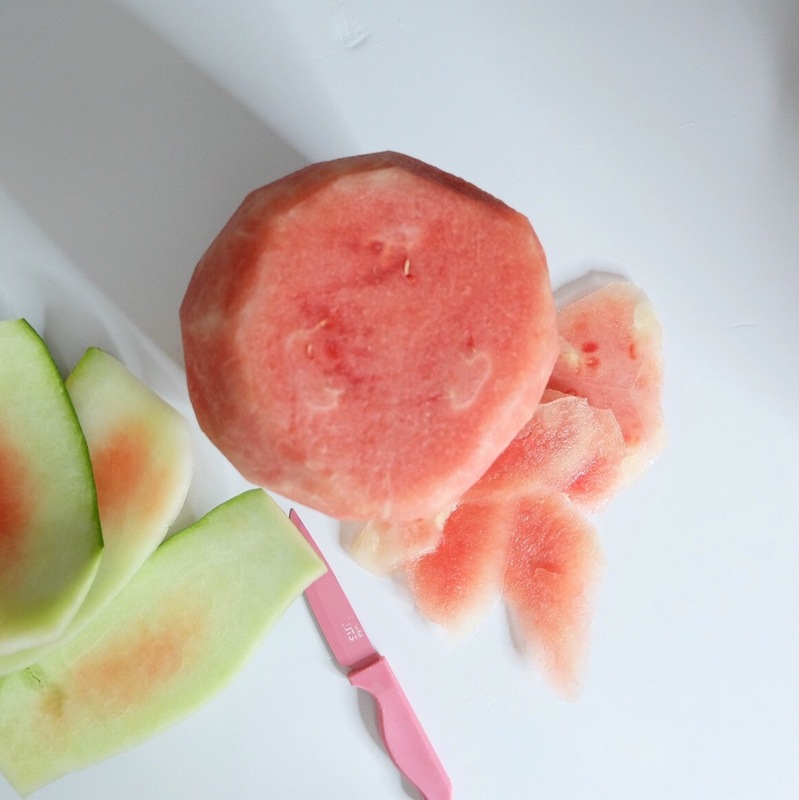 We cut the top and bottom of the watermelon then cut the rind away. Blue Lilly Pad was a master fruit maven. 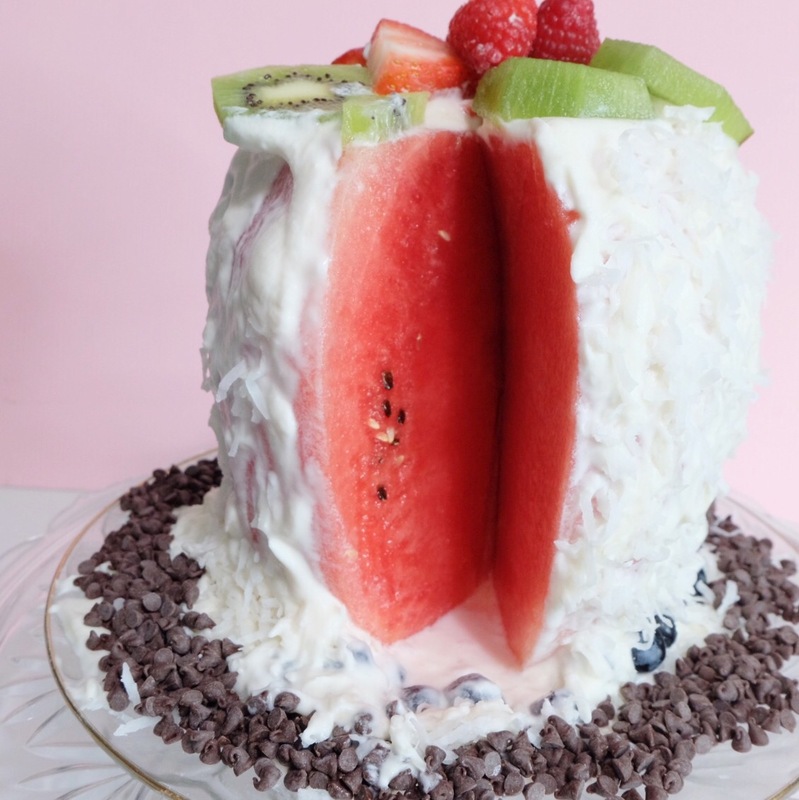 Try to get the watermelon as “cake shaped” as you can. Next, we made the whipped cream. 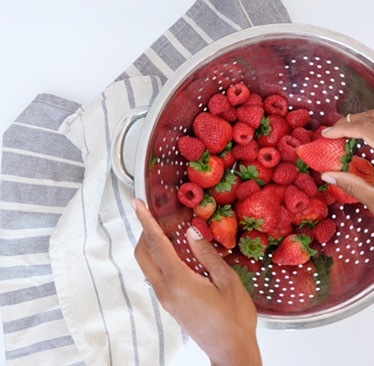 Add the ingredients into your mixer and whip for 6 minutes at a speed of 4. Toward the end, we sped it up to 8 for a few seconds. Mind you, we ruined our first batch by mixing it too long. It literally looked like congealed milk. Ewwww! 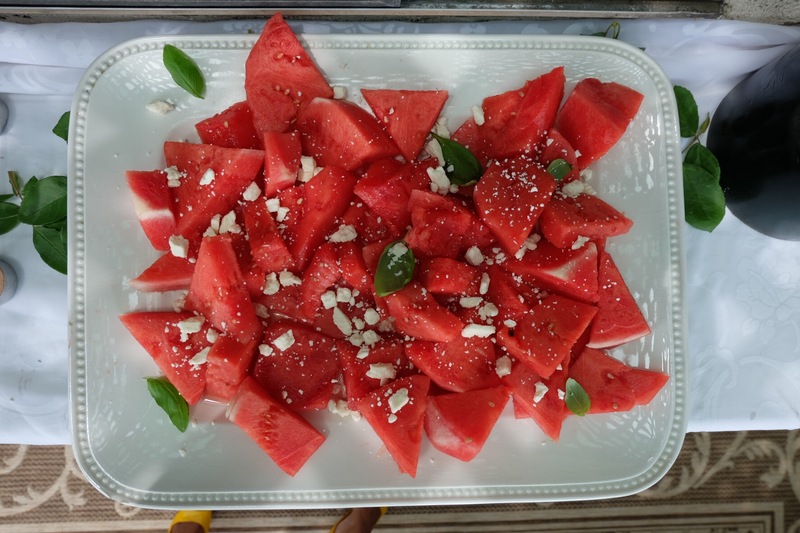 Dry the watermelon with a paper towel and spread your fresh whipped cream just like frosting. Blue Lilly Pad’s little, Chef Zam, helped with this stage. We added some blueberries around the base, clearly, they were drowned in whipped cream, covered the walls of the cake with fresh coconut, added our berries to the top and of course chocolate chips. Yay, we’re done! Blue Lilly Pad and I then had a little photo shoot. Look forward to that soon. So, a lot of my friends have been getting married, I mean a lot. I guess we’re just at that age, ahem ahem 21. Well, that’s a lie. Anyway, it’s given me the opportunity to become a little bit of a wedding planner. My friend Keish and I put our planning powers together and designed a truly special Italian bridal shower for our bestie Sasha. Here is the full table setting. We decided to go with a long table on the patio to give a little Tuscany. 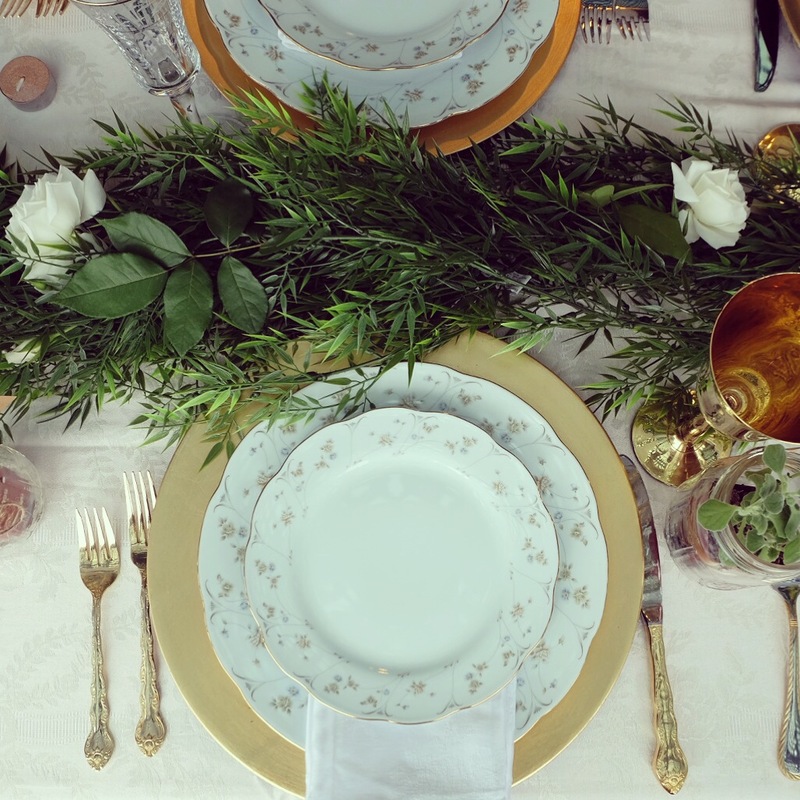 We mixed metals and used as many different chairs as possible. We covered the table in greenery and hung roses and leaves in garlands. Mason jars filled with succulents were the shower gifts. I mean look at this little cutie! We had some healthy options. And some not so healthy, but ridiculously gorgeous ones. Here is our beautiful bride to be, her beautiful Badgley Mischka romper, and her beautiful drink. And here is our couple being absolutely adorbs! I mean I just die! I had a little artsy moment and made this calming film as we cleaned up. All in all it was an amazing and love filled day. February 1st was more than just the first day of Black history month, it was my little sister’s birthday. She’s a spectacular author and creative genius. I don’t think my parents intended on having three creative kids, it couldn’t have been easy. Anyway, I decided to make her a tasty snicker doodley treat, but didn’t have a ton of, from scratch, time. 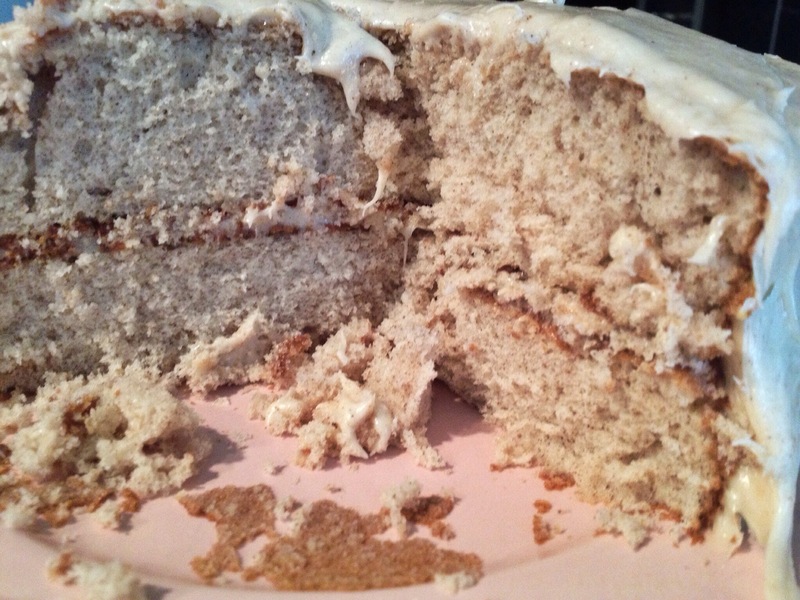 So, I headed to the store and bought a Duncan Hines white boxed cake. All the cake purists are clutching their pearls, well relax those clenched fingers. It was pretty simple, super fast, and delish. I did all the box stuff like usual, 3 eggs, oil, water…easy peasy. I then added 2 table spooks of cinnamon, more if you feel like it, a pinch of sugar, and a teaspoon of vanilla. Bake as normal. 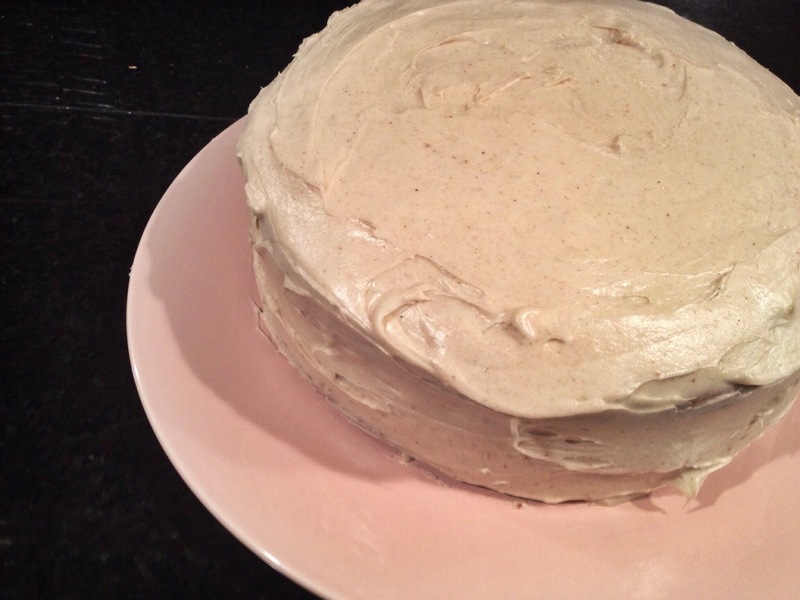 I decided to use a cream cheese frosting. Of course I went prepackaged, I know guys, I know. 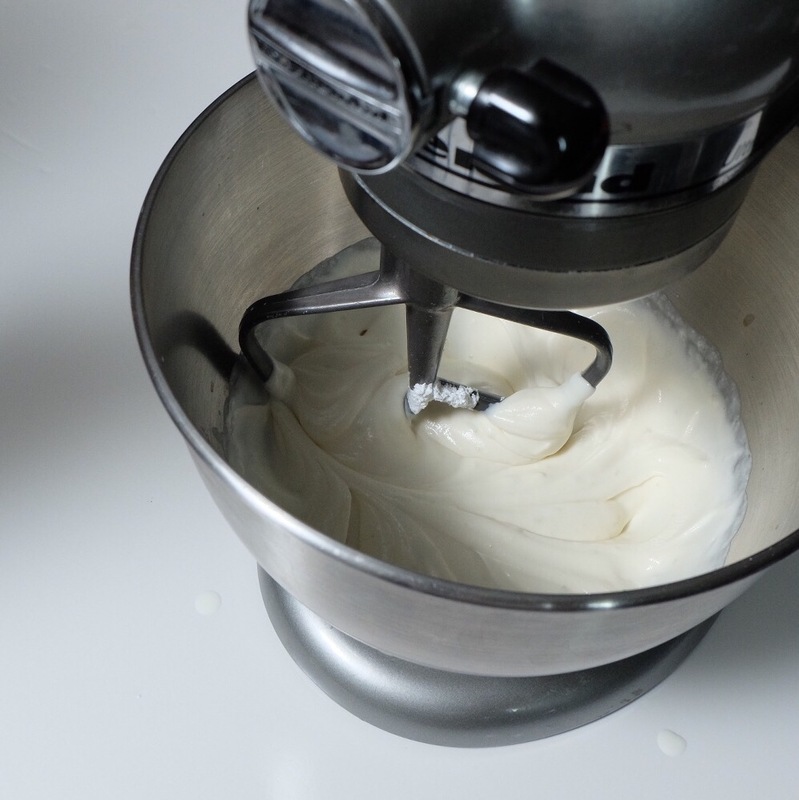 I used two containers of frosting put them in my handy kitchen aid mixer and added one teaspoon of cinnamon. The final product was AMAZING! In a pinch a box cake can be just as meaningful as a scratch cake. My sister was still ecstatic, she may have had three pieces.